Deepa is a Lecturer in Finance in the School of Business and Law. 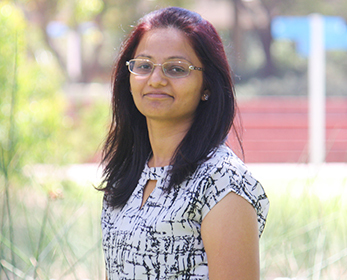 Deepa has completed her PhD in 2017. 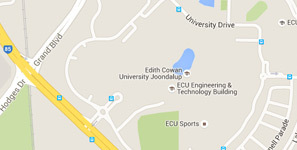 Prior to joining ECU, she has worked in Deakin University for over six years. She is an active researcher. Her research focuses on asset pricing, forecasting and applied financial econometrics. Doctor of Philosophy, Deakin University, 2017. Master of Business Administration (International), Deakin University, 2011. Bachelor of Engineering, India, 2005. Bank diversification and country-level systemic risk, Vietnam International Education Development of the Ministry of Education and Training, VIED - Scholarship, 2018 - 2021, $60,000. Narayan, PK., Bannigidadmath, D., (2017), Does financial news predict stock returns? New evidence from Islamic and non-Islamic stocks. Pacific-Basin Finance Journal, 42(April), 24-45, DOI: 10.1016/j.pacfin.2015.12.009. Narayan, PK., Phan, DH., Bannigidadmath, D., (2017), Is the profitability of Indian stocks compensation for risks?. Emerging Markets Review, 31(June), 47-64, DOI: 10.1016/j.ememar.2017.02.001. Narayan, PK., Phan, DH., Narayan, S., Bannigidadmath, D., (2017), Is there a financial news risk premium in Islamic stocks?. Pacific-Basin Finance Journal, 42(April), 158-170, DOI: 10.1016/j.pacfin.2017.02.008. Narayan, PK., Kumari, R., Bannigidadmath, D., (2017), New Evidence of Psychological Barrier from the Oil Market. Journal of Behavioral Finance, 18(4), 457-469, DOI: 10.1080/15427560.2017.1365235. Bannigidadmath, D., Narayan, PK., (2016), Stock return predictability and determinants of predictability and profits. Emerging Markets Review, 26(2016), 153-173, DOI: 10.1016/j.ememar.2015.12.003. Narayan, PK., Bannigidadmath, D., (2015), Are Indian stock returns predictable?. Journal of Banking and Finance, 58(2015), 506-531, DOI: 10.1016/j.jbankfin.2015.05.001.